Ukrainian band DAMMERUNG was founded in 2001, when musicians Saurg, Kaschey, Grom and Fester united to realize their creative ideas and musical materials. A main accent was done for the creation of worthy Black Metal. In 2002, work on the first album "Follow Your Own Shadow" began. Recording progressed slowly due to lack of good tools and hardware, so the band is very grateful to those who helped release the first album in the winter of 2003. There were plans for concerts. But the performances were delayed for an indefinite period in connection with the arson rehearsal by a religious sect. Planning for future performances prompted the band to the idea of finding a second guitarist. Since the spring of 2004 VATHAR (ex-Kurgan) joined the band. There was found a new rehearsal base. But due to creative differences the band leaves Fester (bass) and Kaschey (guitar). The line up of the band was constantly changing ... For "nowadays" from the first line up of DAMMERUNG there�re only SAURG and GROM. 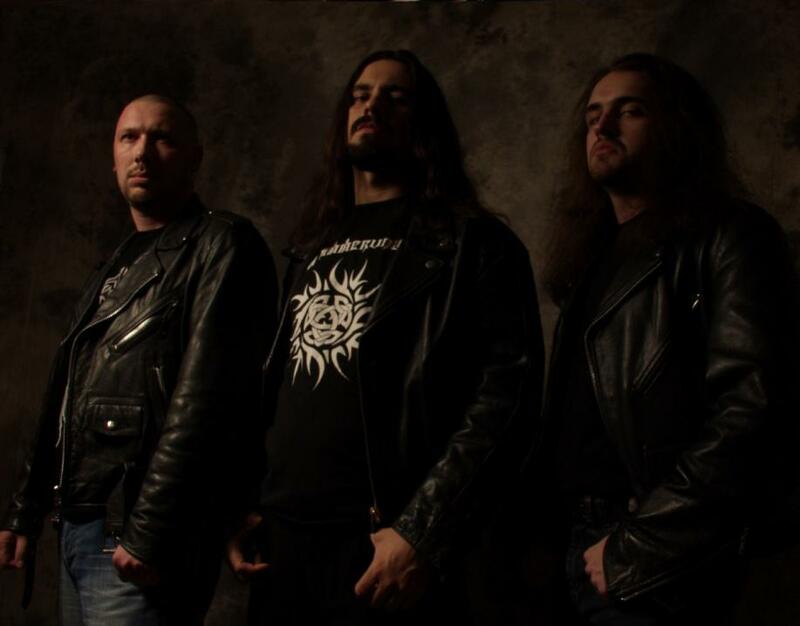 Trio DAMMERUNG (Vathar, Saurg, Grom) continues actively work on new songs for their next album, with working title "Black Arrows Of Our Hatred". In the 2005 the band presented at the TERRORIZER magazine's 21th compilation their song "Follow Your Own Shadow", from the self-titled album. DAMMERUNG takes part in 1st BLACK-DEATH-BRUTAL FEST in Kherson. 2006 - band compile new song - "Hand of Doom" for CARPATHIAN MIGHT - Ukrainian Black Metal Compilation vol. 1. In spring 2006 NAGLFAR became a band�s bassist. In early 2007 Naglfar left the band and Vathar takes bass guitar into his own hands. In late 2007 new album DAMMERUNG - "Black Arrows of Hatred" released on the Polish label East Side Prods. In August 2008 �Black Arrows� album released on the Mexican label WitchCraft Rec. (a division of American Line Productions) with new artwork and bonus track. 2009 - new song Enstoned introduced on the compilation TERRORIZER magazine. 2010 - work on the new album "Dark Poetry" completed. The band signed contract with Ukrainian label Metal Scrap Records (Ukraine) & More Hate Productions (Russia).